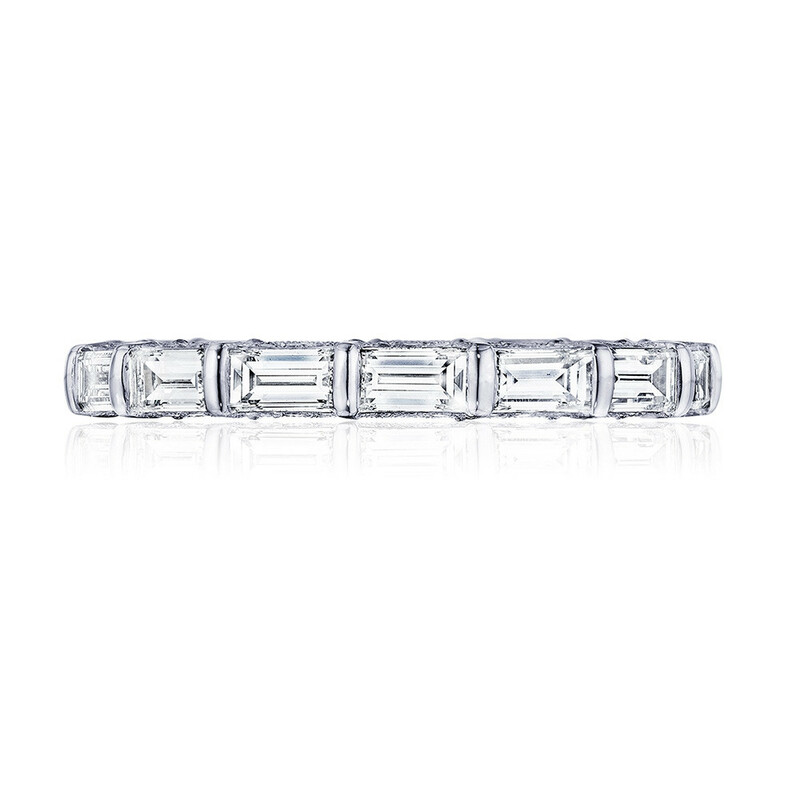 Get a look you'll love, now and in the future, with this eternity band from Tacori's RoyalT collection. Crafted in your choice of 18K gold or platinum, horizontally set triple cut diamond baguettes navigate around your ring finger in fine fashion. 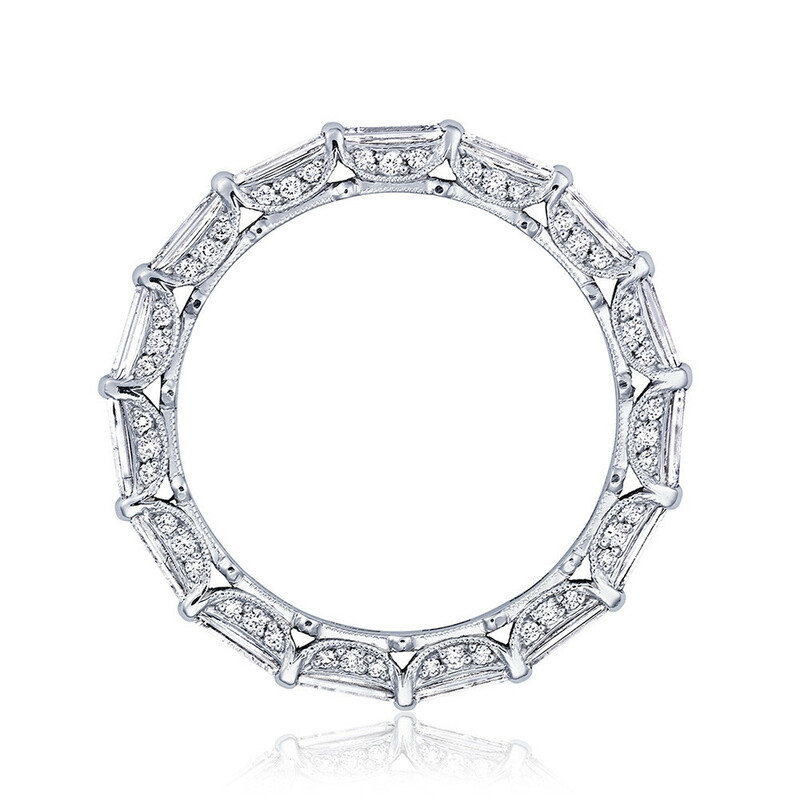 The ring's pretty profile offers signature crescent design details. 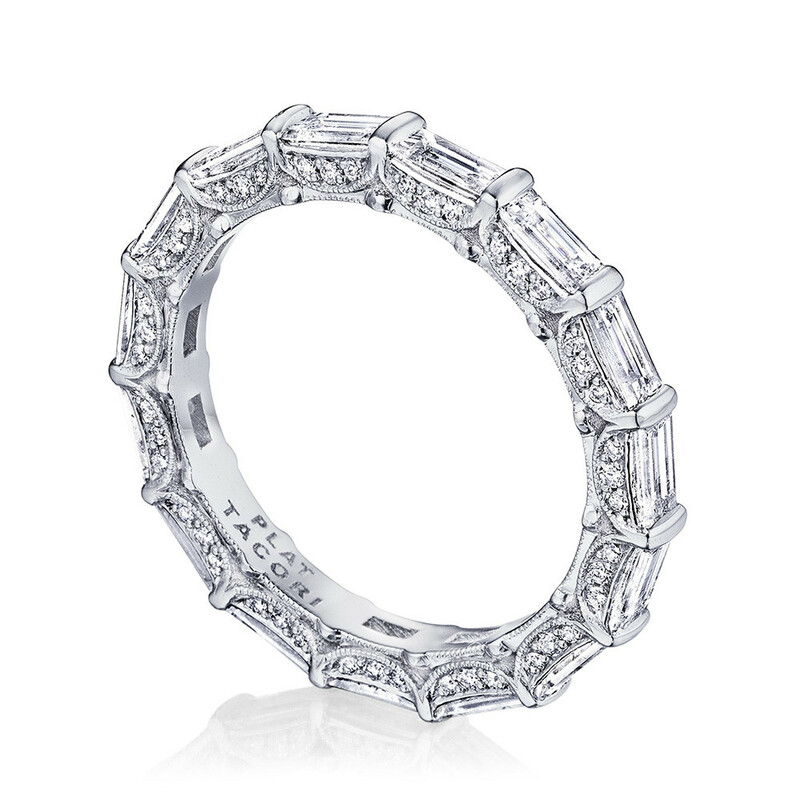 This Tacori eternity band has a timelessness that will transcend bridal jewelry trends. Lifetime manufacturer warranty from date of purchase for manufacturer defects and basic repairs.